What exactly is a full body CT scan? Full body CT scans, generally performed at a hospital or a specialty outpatient facility, are thorough diagnostic procedures used to detect a wide range of health issues, using computer tomography (CT) to provide an in-depth look at your body. A CT scanner uses X-ray images taken at different angles to produce cross-sectional images, or slices. The slices give your doctor a 3D view of your body. Most full body CT scans take pictures of the chest, abdomen, and pelvis and often detect hidden problems you may not have known about. Your doctor might schedule you for a CT scan for many reasons. Since the procedure is so detailed, they often show underlying health issues before symptoms occur. Preparation is fairly quick and easy. Your doctor will probably tell you not to eat or drink anything for a few hours before the procedure. It could be two hours or six hours, depending on what your doctor needs to examine. You’ll have to wear a hospital gown and remove anything that could give an inaccurate reading, such as jewelry, glasses, and even dentures, if needed. The specialist will likely have you drink a contrast material, which will highlight organs, muscle tissue and blood vessels, as the X-ray images won’t show them clearly. Depending on what your doctor needs to examine, contrast material can be administered orally or through injection. Contrast injections work best if your blood vessels, liver, or gallbladder need treatment. If you’re 55 years or older, you may have your creatine levels assessed as well during the scan. The scan itself is quick and painless. You’ll lie down on a moving table that slides through the CT scanner slowly. As you’re sliding through, the scanner will begin to take pictures of your body and emit a humming or whirring sound, which is normal. Full body CT scans usually take half an hour or less, depending on what your doctor needs. You can expect the procedure to last a bit longer if your doctor has to examine several sections of your body. Sometimes movement will interfere with the scanner, so the specialist may ask you lie completely still. If you’re getting a CT scan of your lungs, they may also ask that you hold your breath at certain times. Once your scan is complete, the specialist may ask you to drink plenty of fluids to help your kidneys clear the contrast material out of your system. If your doctor ordered a full body CT scan, you can expect a thorough exam in a timely, efficient manner with Dr. Shawn Veiseh, MD. His private practice, University Executive Physical Program, is located in the Westwood neighborhood of Los Angeles. Dr. Veiseh is a board-certified internist, and he provides detailed physicals and treatment for chronic issues, like diabetes. Take the next step in your treatment plan, and reach out to the University Executive Physical Program for questions and booking. 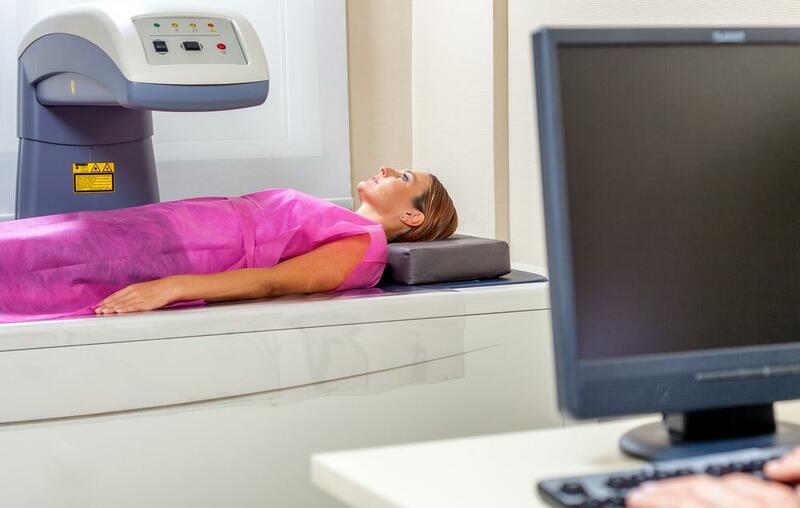 Have you had a bone density test? Bone density testing can reveal information that’s critically important for certain people. Find out if you’re one of them.